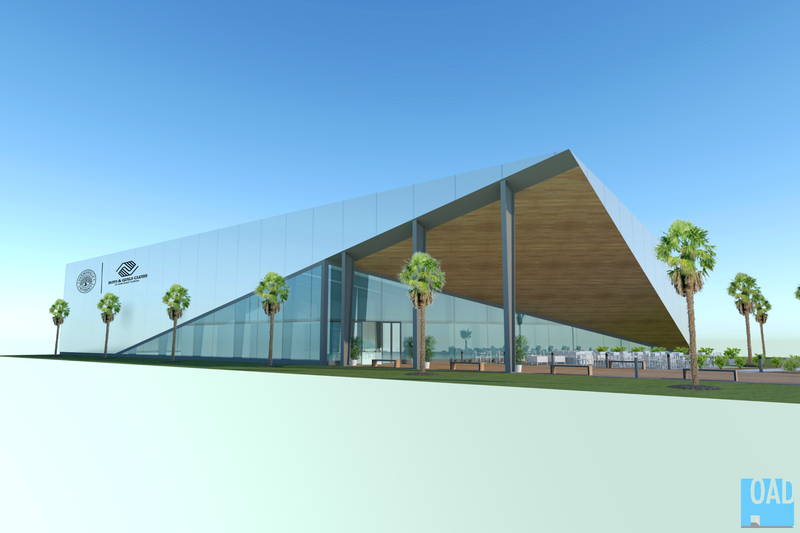 A new 20,000-square-foot, $2.5 million “Jacksonville University Boys & Girls Club” on Justina Terrace near campus will be among the vanguard of the nonprofit’s facilities when it opens in 2019, on land owned by the University. The collaboration with Boys & Girls Clubs of Northeast Florida is another proactive move by JU to strengthen key community partnerships as it continues its work on the renewal of Arlington. In a strong signal of its intentions for area improvement, JU has agreed to lease a majority of its four-acre, $850,000-assessed property (across University Boulevard North from the campus’ D.B. Milne football field) to the nonprofit at $1 per year for 50 years. The Boys & Girls Clubs will use the southern three acres of the parcel, with JU retaining the remaining acre for potential sale or additional future development. “We at the University are proud to team up with this great, community-based organization, the Boys & Girls Clubs, to help further enhance the neighborhood we call home,” said President Tim Cost, who created the partnership recently in discussions with BGCNF President and fellow JU alumnus Paul Martinez. 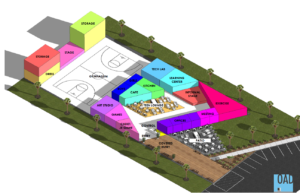 More than 100 teens ages 12-18 are expected to be served each day at the new state-of-the-art facility, which will include a learning center, tech lab, fitness area, art studio, robotics lab, lounge and gymnasium with a full basketball court, among other amenities. Research-based and field-tested programs offered will focus on five core BGCNF areas: Career and Education, Character and Leadership, Health and Life Skills, Sports and the Arts. 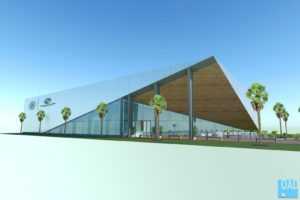 In addition, as part of the agreement, current JU students, faculty and staff will serve as mentors and partners to the youths of the Jacksonville University Boys & Girls Club, with programs in the planning stages for the University to offer its leadership expertise and resources in multiple academic areas ranging from the social sciences to the health sciences, including disciplines from Education to Kinesiology to Mental Health Counseling. 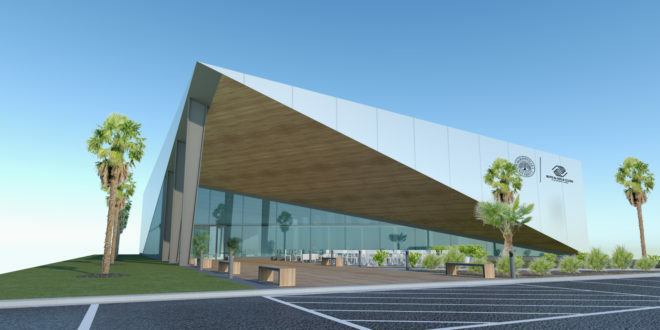 Boys & Girls Clubs of Northeast Florida has already raised nearly $1 million for the facility, and it anticipates achieving its full financial goal by the end of next year, officials with the nonprofit said. Construction is expected to begin in 2019, with an opening later that year. A core planning element in the arrangement for the Center is careful coordination to fully maximize the use of the new physical space, with teens primarily engaged at the facility in the afternoon and early evening, and JU students there during the morning, when it is not being heavily used by the Boys & Girls Club. Cost explained that the partnership is part of a larger effort by JU to offer its services and expertise while also opening its doors to the Arlington community. Volunteerism has been ramped up, with students, faculty and staff providing more than 30,000 service hours with an economic impact of more than $700,000 in the 2016-17 academic year alone. Meanwhile, JU has provided more than $150,000 in support to charitable organizations through sponsorships and donations, and $25,000 in in-kind donations for nonprofits using the campus. With an estimated $272 million in annual economic impact, JU is making a high priority its increasing work in collaboration with key partners in the Renew Arlington initiative. It is also working closely with business and civic partners and investors to foster economic development, such as the new Dolphin Pointe Landing senior community just north of campus, the recently purchased and renamed Treehouse Apartments, the just-announced Jackson Commons off-campus student housing complex, the Arlington Community Academy, and local churches.